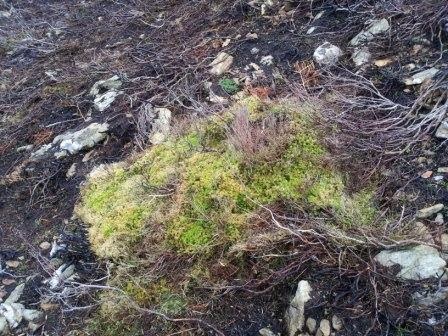 One of our Christmas walks was to Moel Dduallt, to see how it was recovering after the big fire last April. 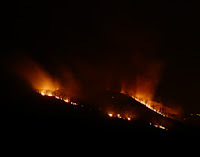 Six fire crews were out that night, one of which guarded our house in case the wind brought it our way. When we first saw the smoke we ran up the mountain with a couple of beaters but as we crested the ridge and saw what was coming our way, we knew to leave well alone. The flames were huge and moving fast. The trunks of the trees look charred but alive. 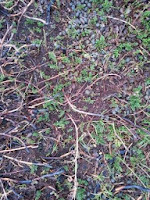 Bilberry is sprouting beneath what were dense stands of heather. 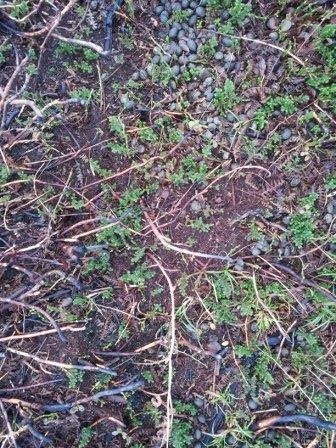 New heather is emerging. I particularly liked the island of sphagnum which had held fast in the height of the blaze.